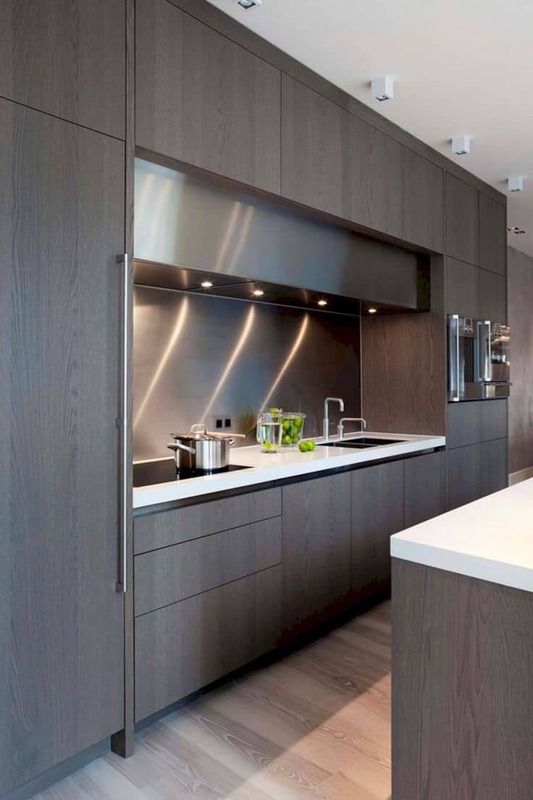 This contemporary space could virtually fit into any family home. It’s neutral and has a no-fuss feel by still keeping within the confines of a modern vision. There are a lot of great bits of inspiration over at Futurist Architecture including this space. 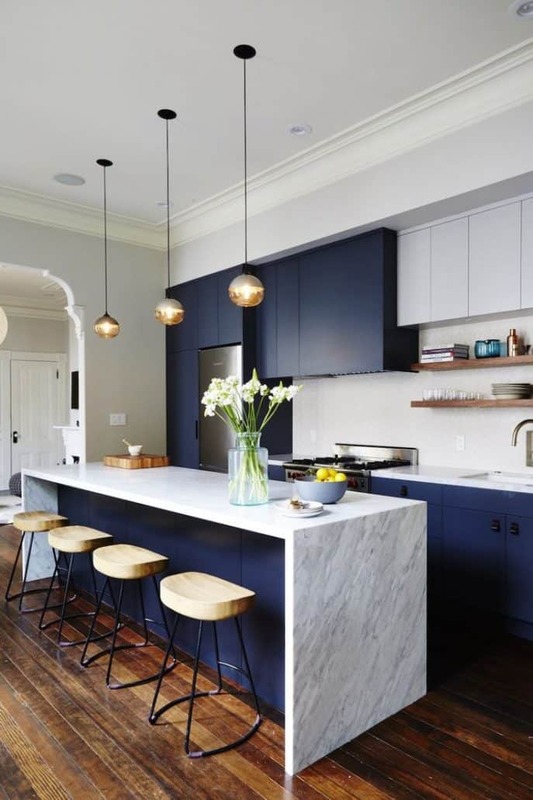 Nicole Franzen showcased this gorgeous blue and marble contemporary kitchen and we fell in love. 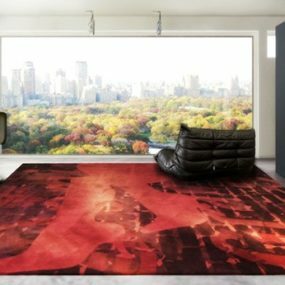 It’s important to note that modern spaces can take hold of color, not everything has to be full of neutral tones. Instead, chic and sleek shapes can hint at that same posh vision. 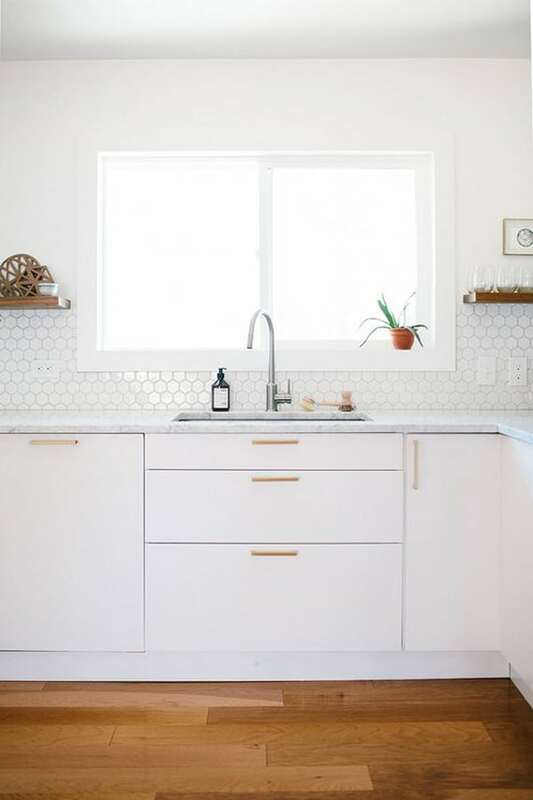 Over at Vanilla Wood, you’ll find this gorgeous space that’s a prime example of a clean and simple kitchen. 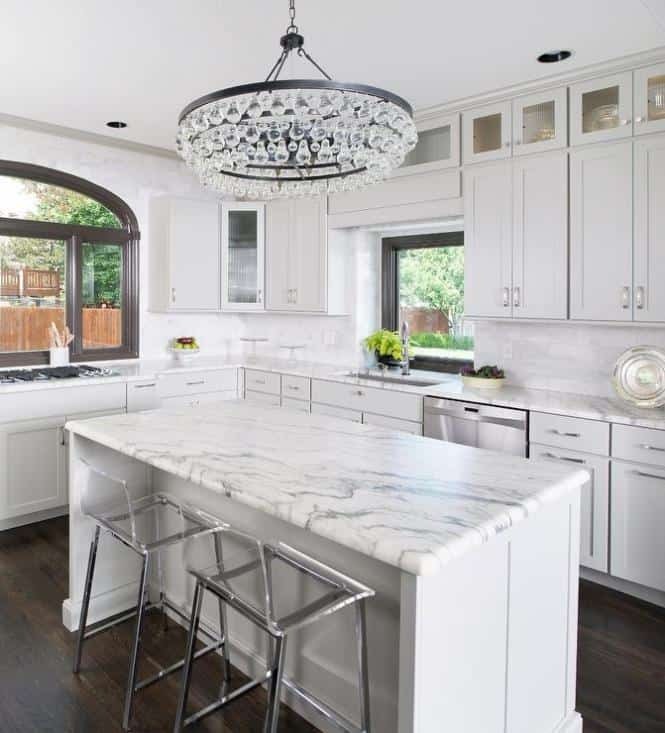 The marble tops complement those traditional, modern cabinets with ease. 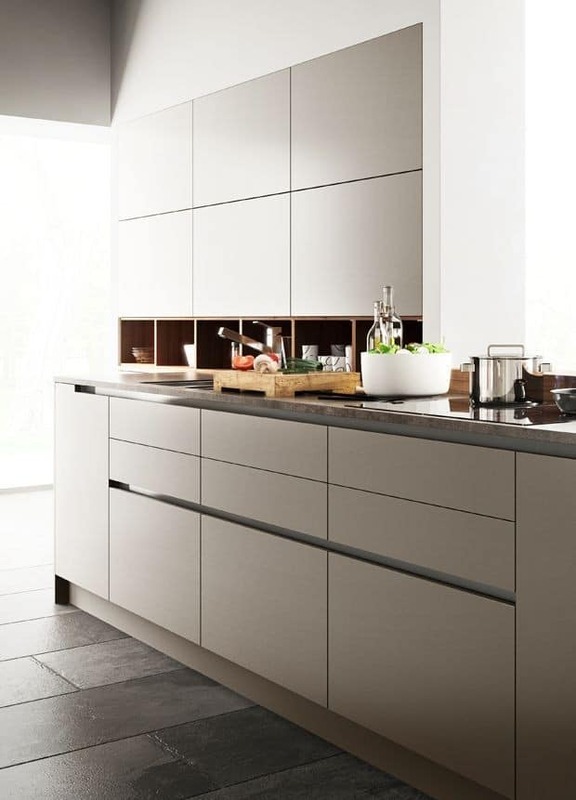 An all white and stainless steel finish is one of the best routes to take for any home. Here’s a mixed material look that holds a bit more of a casual vibe. 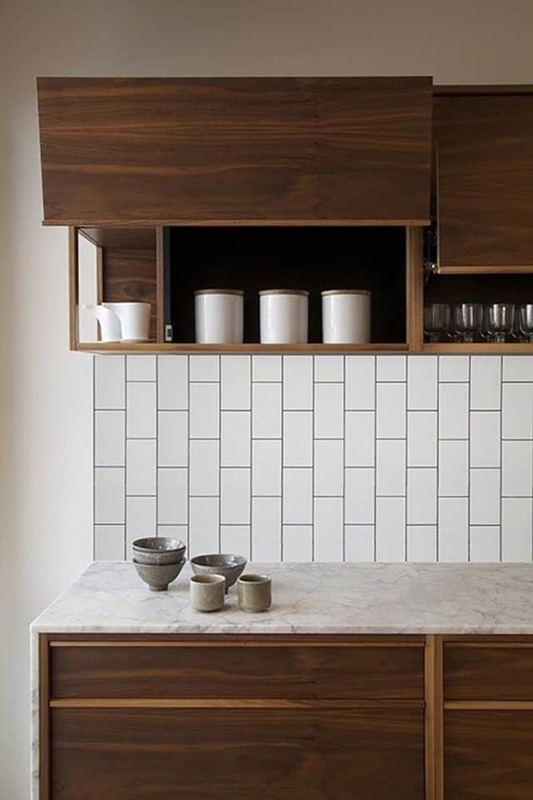 Combining both wooden pieces and a slick, modular bottom design, this find from Pinterest gives us a lot of great inspiration. 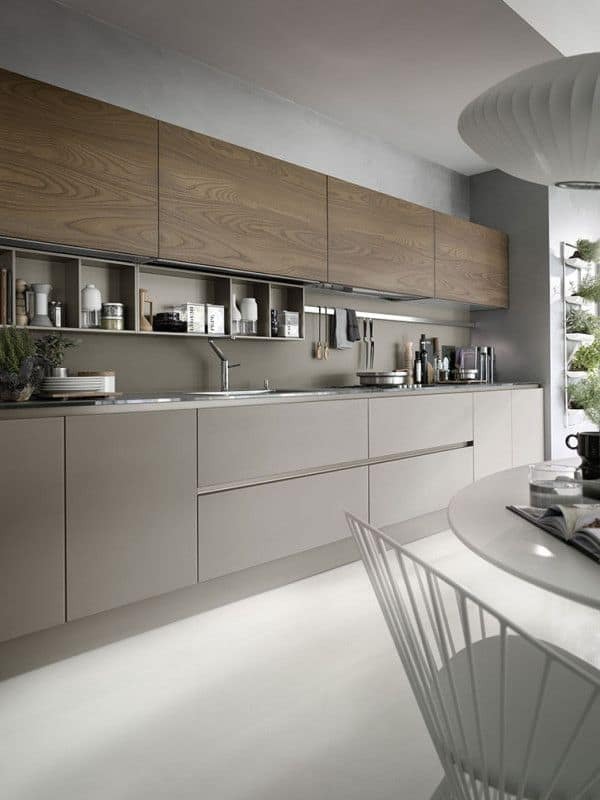 That taupe color is so versatile and easy to incorporate throughout the home as well. 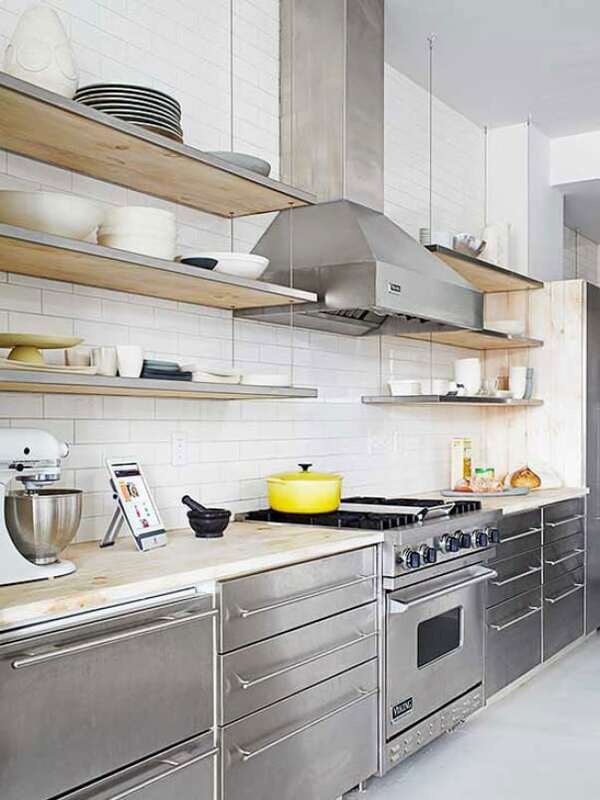 We’re swooning for this entire kitchen. There’s a certain amount of elegance that’s been placed throughout the entire setup. And with those black cabinets and golden hardware accents, Coffee and Pine knew how to get our renovation wheels churning. Design Milk went with something even more simple and clean. 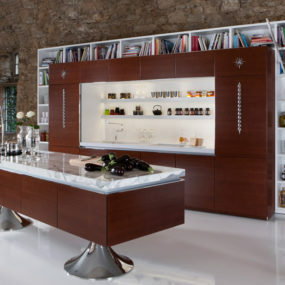 The ultra-contemporary kitchen design is a minimalist’s dream. 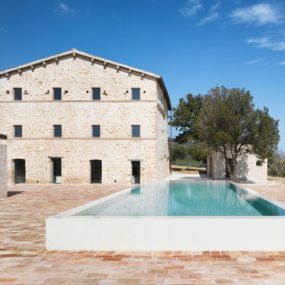 And this light wooden finish makes for a very versatile and welcoming of foundations. Home Stories has a blue look that we had to take a second peek at. Again we see a beautiful blue tone, accented by gorgeous golden hardware, and designed in a way that fits within modern visions. 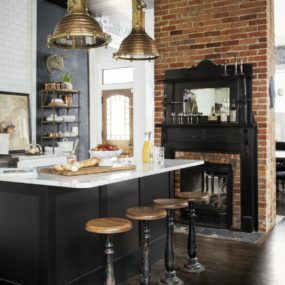 But this particular space as a farmhouse mixture that works well for family-style homes. 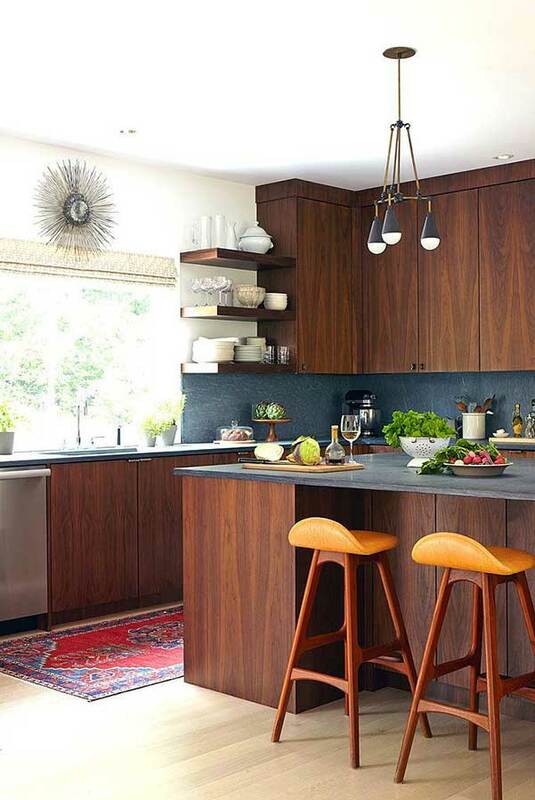 This kitchen design from Veneer Designs has a definite mid-century modern feel that we’re vining with. 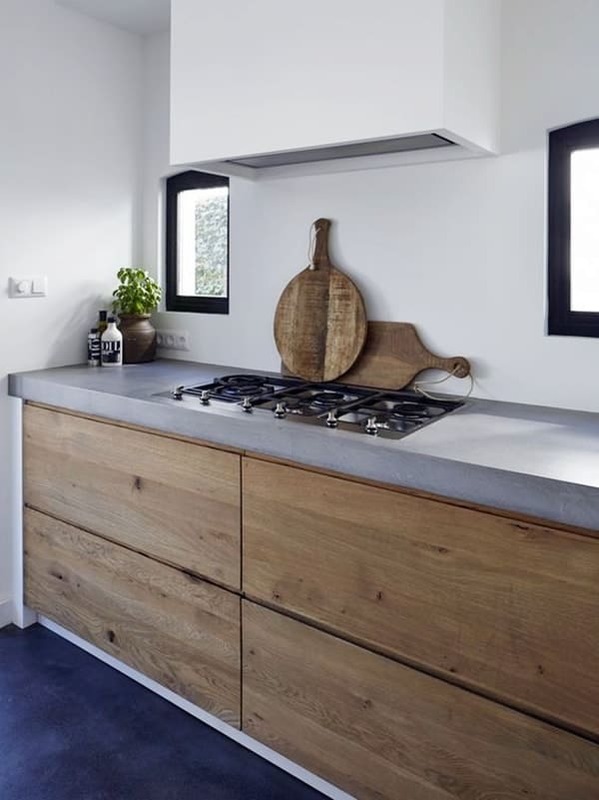 The crisp white and wooden cabinets contrasts nicely. But nothing is too cluttered or chunky so it fits well within the contemporary theme. 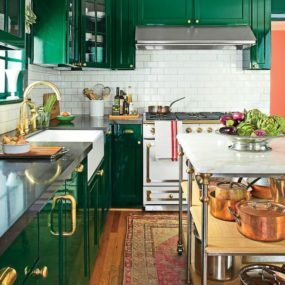 Hunker made a chic, monochromatic kitchen even nicer with the addition of some gold hardware. We love how it adds a feminine, futuristic vision to the space. This is an easy accent to DIY as well! Finally, while perusing Pinterest yet again, we stumbled upon this classic beauty. 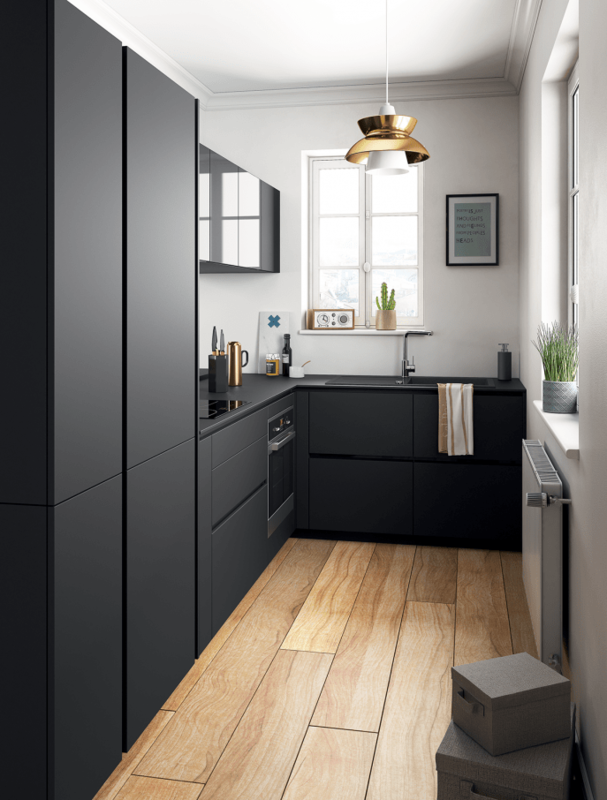 Although it’s a smaller kitchen, the slick, black cabinets work well within the space. There’s nothing bulky, chunkier, or too dark cluttering the area. 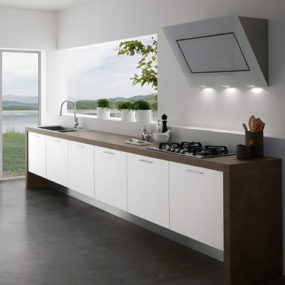 And that natural light opens to room and allows those cabinets to stand out on their own – in the best way. If you’re looking for something that feels both professional and stylish, think about going with stainless steel everything. This great example from BHG will give off all of the right inspiration. 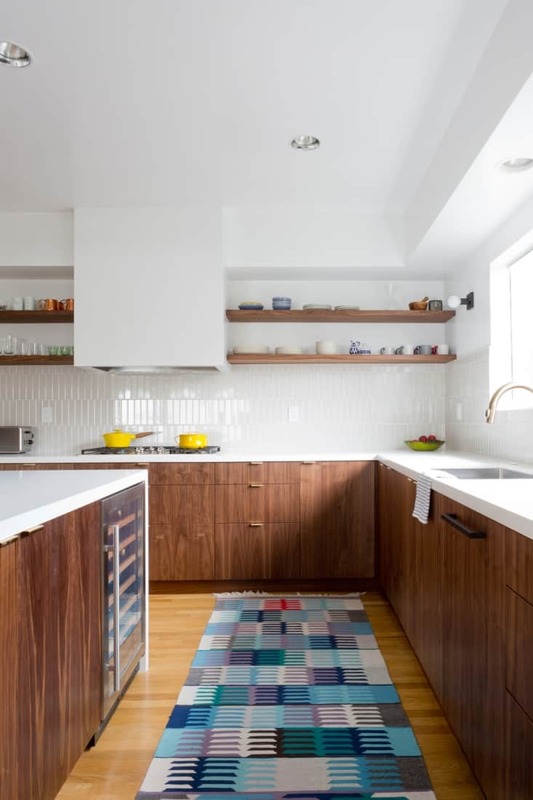 It’s a contemporary feel but made trendy with those wooden, butcher block tops and open shelving. 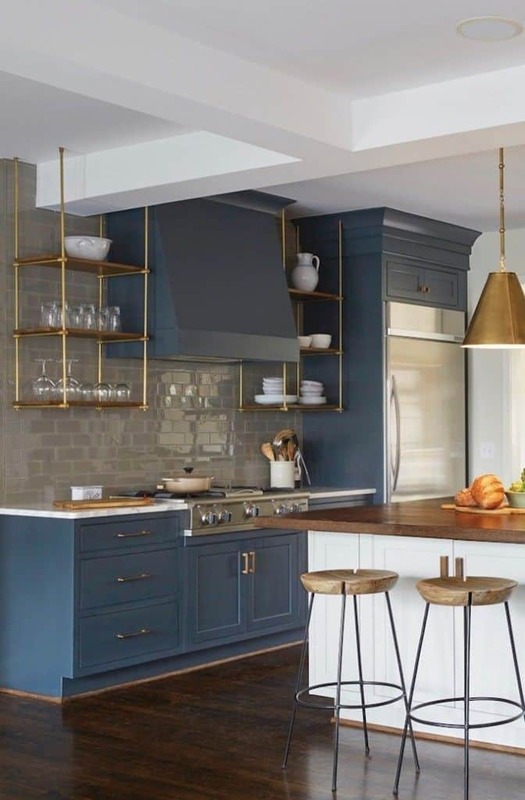 If you’re into traditional feels but with a contemporary twists, than this family-style kitchen will be right up your alley. The cabinets are a bit darker here but still just as chic and modern. Check out this one and more inspiration over at PopSugar. 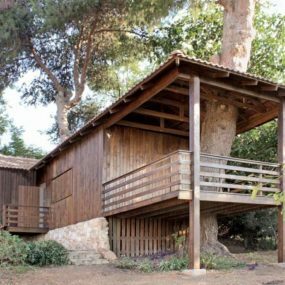 Remodeling 101 shows off an innovative design as well. These wooden cabinets are topped off beautifully with a marble countertop but its in the creative design that we get really excited. Look at how those top pieces open, it’s so fresh and new! 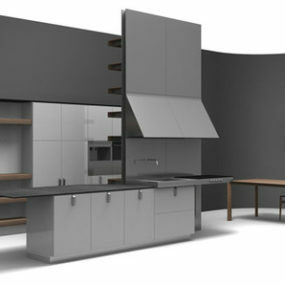 Another muted, natural kitchen space, this design is a classic, modern design. 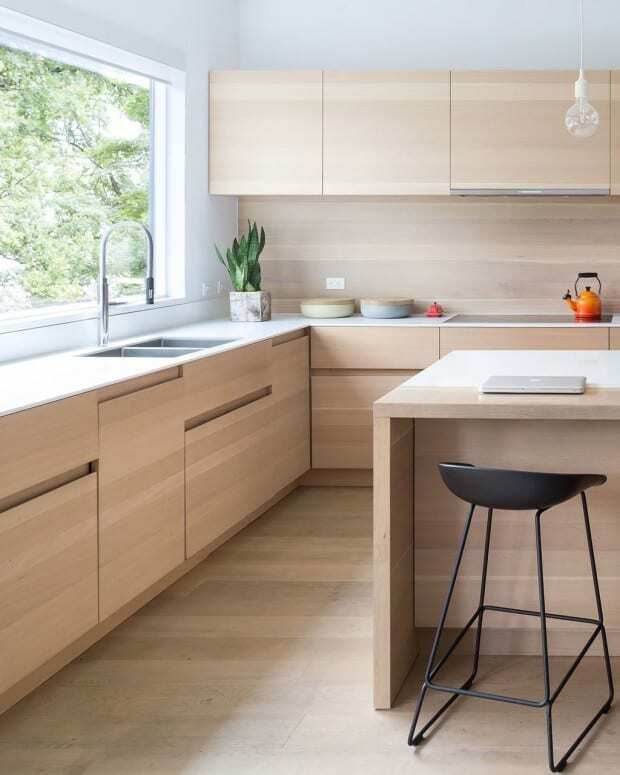 Found and featured at Sarah Bynes, if you’re into that clean and simple look than this is definitely the type of cabinetry that you’ll wanna gather inspiration from. 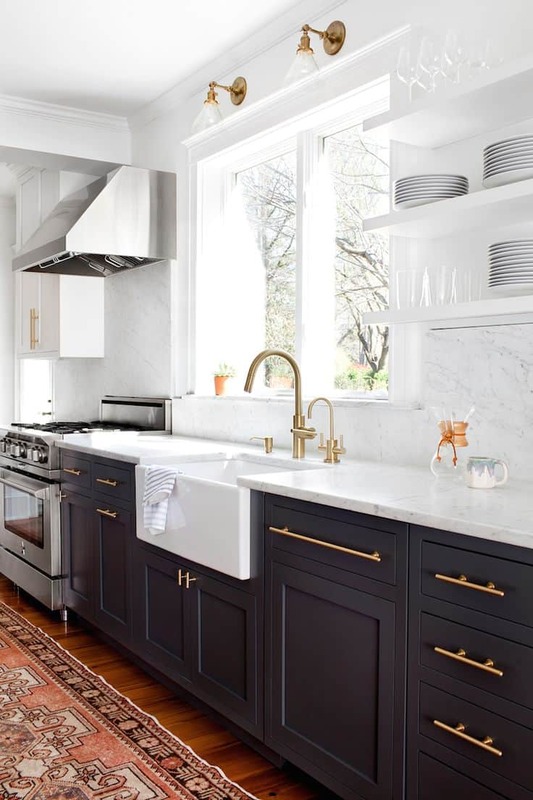 Pinterest has us swooning for this kitchen as well. With both farmhouse-inspiration and modern design, these cabinets have the perfect blend of interior design genres. 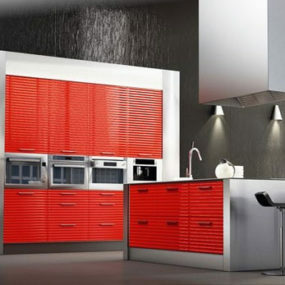 You’ll love the fun way to personalize this kind of kitchen as well.